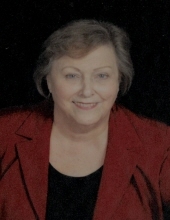 Rose Mary Wiegman Lang Martin, 80, passed away February 25, 2019 following an extended illness. Rose Mary was born in Mansfield, Ohio on October 28, 1938 to Donald K. and Helen M. Wiegman. She was a member of St. Peter's Catholic Church her entire life and participated in the Lay Minister's program, St. Peter's Choir and Folk Group. Rose Mary was a member of Daughters of Isabella - Joan of Arc Circle #380, holding offices of Financial Secretary and Regent. She held state offices as trustee, treasurer, Vice Regent, Regent and Past Regent for the State. Rose Mary had a beautiful alto singing voice. She participated in numerous local musical productions, The Mansfield Symphony Chorus and was a soloist for many funeral masses and weddings. She provided daycare from her home for many years and was a beloved caretaker for many children. She is survived by her husband, William C. Martin, her six children Joan (Marvin) Ellis of Mansfield, Stephen Lang of Wisconsin, Dave (Cathy) Lang of Fostoria, Cindy (Jim) McNeilis of Dublin, Cathy Lang of Colorado, and Rick (Chris) Lang of Oklahoma; four step-children; daughter-in-law Beth (Vinnie) Ciesielski of Tennessee; seventeen grandchildren, Amy (Pete) Oledzki, Joshua Lang, Justin (Nichole) Lang, Chris (Shannon) Ellis, Craig (fiancé Christina Will) Ellis, Cory (Maddie) Ellis, Jessica (Bill) Nurre, Ashley McNeilis, Kyle (Christina) McNeilis, Mary Kate McNeilis, Catrina Lang, Jacob Lang, Marcus Lang, Max Barowski, Andrew Lang, Shane Lang, Michael Hilliard; three step-grandchildren; and 9 great grandchildren. Four siblings Sr. Lauren Wiegman, OSF of Columbus, Larry (Marianne) of Statesville, NC, Janet (Tom) Boeckman of Jacksonville, FL, Cathy (Phil) Hawk of Ashland. She was preceded in death by her parents Donald and Helen Wiegman, siblings Richard J. Wiegman, Donna Wiegman, son Michael D. Lang and former husband Glenn Lang. Friends may call at Herlihy-Chambers Funeral Home, 173 Park Ave. West on Thursday, February 28th, 2019 from 5 to 8 with a vigil prayer service at 5pm. Mass of Christian Burial will be celebrated Friday, March 1 at St. Peter's Catholic Church at 1:00 pm with Fr. Ted Miller officiating. Interment will follow in Mansfield Catholic Cemetery. The family would like to thank Southern Care Hospice for the excellent care they provided. Memorial contributions may be made to St. Peter's Preserving our Past, Securing our Future Campaign and Daughter of Isabella - Joan of Arc Circle #380. To send flowers or a remembrance gift to the family of Rose Mary Lang Martin, please visit our Tribute Store. "Email Address" would like to share the life celebration of Rose Mary Lang Martin. Click on the "link" to go to share a favorite memory or leave a condolence message for the family.